More than 35 million Americans are 65 years of age and older, states the Centers for Disease Control (CDC). That means oral health care for seniors is vitally important. If you are in your senior years, or have a loved one who is, you should know how your mouth changes with age and how you can care for it. 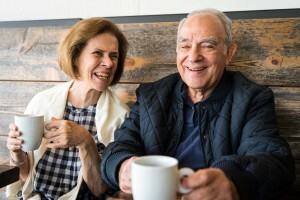 You may ask, “Is there a dentist near me who knows the needs of seniors well/” At Indianapolis Family Dentistry, Dr. Mark Farthing and Dr. Armin Tepner, dentists in Post Road, gladly show families how to keep senior smiles strong and bright. The American Dental Association maintains that oral and systemic health impact each other. In other words, what happens in the mouth affects your whole body and vice versa. As such, what do seniors need to know and do about their oral health? As with their younger patients, Dr. Farthing and Dr. Tepner advise six-month check-ups and professional cleanings to protect the oral health of their senior patients. Seniors are prone to the same tooth and gum issues younger people are–tooth decay, dental sensitivity, gum disease, TMJ (jaw joint) dysfunction, sleep apnea, missing teeth and more. However, some of these conditions vary a bit for seniors because of aging, wear and tear and overall health. Here are some of those issues and what you should know about them. Thrush Yeast infections grow unchecked when dentures are poorly maintained. Partial and full dentures require daily brushing or soaking in an ADA-approved denture product to remove the many bacteria our mouths contain. Also, seniors should brush their gums, tongue, hard palate and cheeks to eliminate lingering food residues. These hygiene practices reduce harmful oral bacteria. Additionally, thrush sometimes indicates high blood sugar, a sign of uncontrolled diabetes, or a suppressed immune system. So, check with your primary care physician if thrush is a recurring problem. Gum disease Smoking and poor oral hygiene lead to periodontitis, a major cause of tooth loss in adult Americans. The National Institute of Dental and Craniofacial Research states that approximately 18 percent of seniors have advanced gum disease and its related bad breath, loose teeth and tooth loss. Additionally, gum disease is linked to systemic health problems such as diabetes, dementia, arthritis, heart disease, stroke and more. So, it pays sernior to pay attention to their gum health. Tooth decay Most American adults have experienced dental decay to one extent or another. With seniors, decay often centers in tooth roots which have become exposed because of gum disease, medications or aging. Seniors should practice good brushing and flossing to reduce decay and may benefit from fluoride treatments to protect enamel and roots. Fluoride helps with tooth sensitivity as well. Oral cancer strikes more than 46,000 American adults annually. The chances of developing this potential killer increase with age. So, seniors need oral cancer screenings with their semi-annual exams at Indianapolis Family Dentistry. Also, they should be aware of any changes in their oral mucosa (lumps or sores that last two weeks or longer) and of how their dentures fit or teeth bite together. Dry mouth, or xerostomia, affects seniors who take certain medications (including cancer therapy) and also those who smoke or are on oxygen therapy. Xerostomia sets the stage for gum disease, decay and bad breath. Your dentist recommends drinking lots of water to stimulate saliva, and he may prescribe mouth-moisturizing rinses if warranted. Many people with xerostomia chew sugarless gum to keep their mouths moist and to freshen their breath. Seniors should avail themselves of the best preventive dental services available for the healthiest, longest lasting. 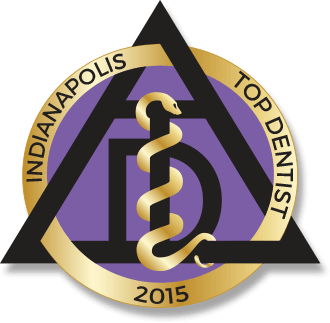 Why not contact Indianapolis Family Dentistry for more information on preventive dentistry for seniors?